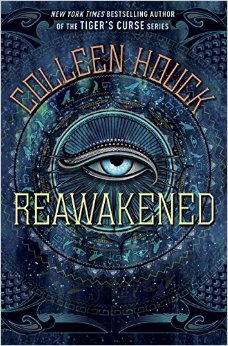 today I’m waiting on REAWAKENED by Colleen Houck (expected publication: 11th August 2015 by Delacorte Press). It’s a YA Fantasy and the first in a planned series from the NYT bestselling author of the TIGER’S CURSE series. I’ve read good reviews for this book and I’m looking forward to reading it: it sounds like a fun summer read! This entry was posted in Waiting On Wednesday and tagged 2015 release, Colleen Houck, EM Castellan, Reawakened, Waiting On Wednesday, YA Fantasy, Young Adult literature. I have seen this around. I haven’t read anything by this author. I hope you enjoy it! I haven’t read any of Colleen Houck’s stories yet, but this one sounds neat. Hope you like it! I picked N.K. Jemisin’s The Fifth Season for WoW this week.